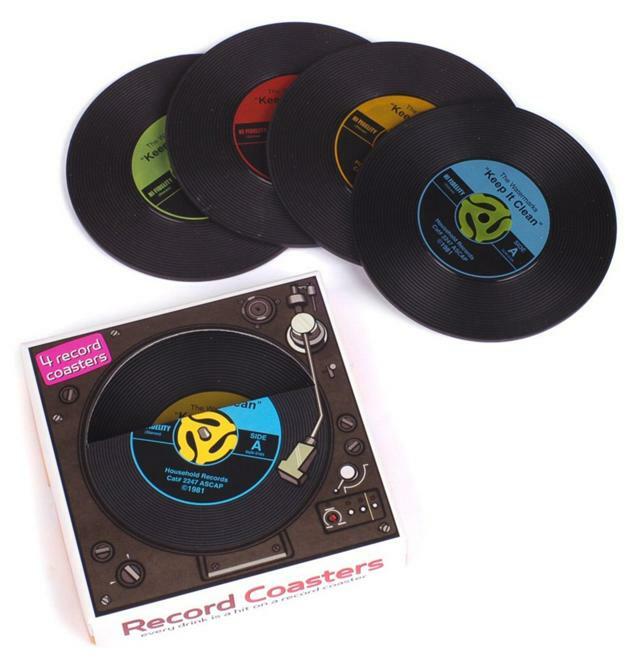 Rock on with these cool retro 45 record coasters. You will feel like you have gone back into time when turntables were in every home and those 45 records belted out hits from Sinatra to AC/DC. Each box comes with 4 different colored 45 record coasters. Feature: Set of 4 Coasters per pack.